A new provincial Workforce Strategy will help to address the economic challenges presented by a shrinking workforce and help Nova Scotians to acquire the right skills for good jobs. 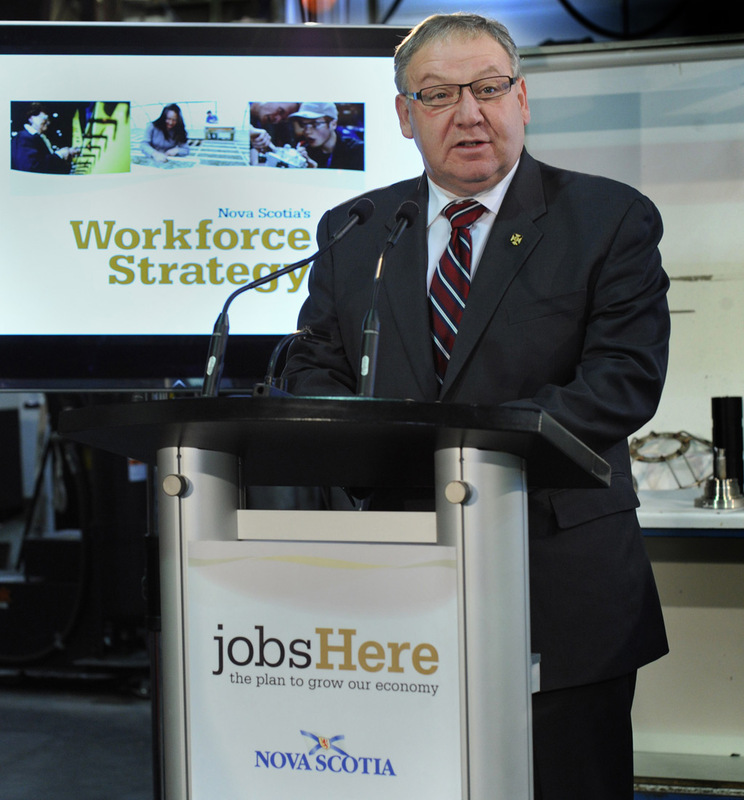 Premier Darrell Dexter unveiled Nova Scotia's Workforce Strategy, part of the jobsHere plan to grow the economy at Advanced Precision, an aerospace, defence and oceans technology manufacturing company in Dartmouth. 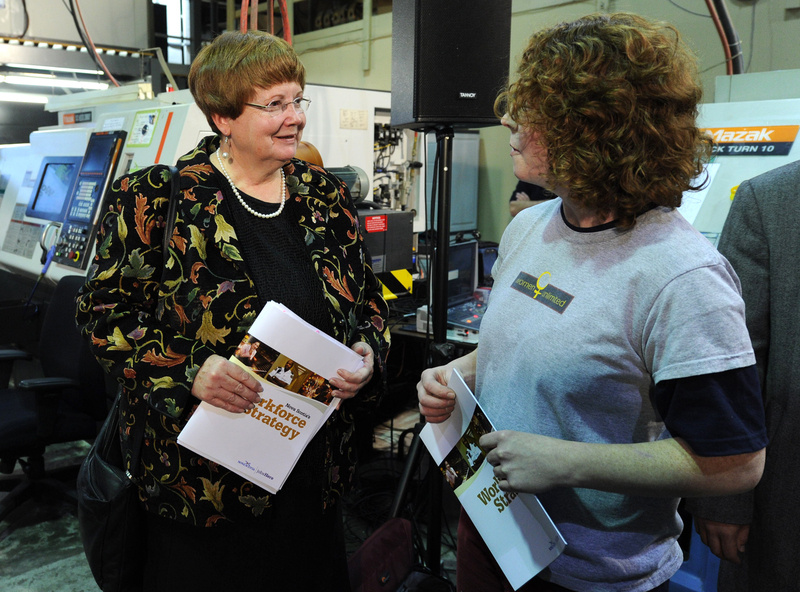 The Workforce Strategy describes a number of actions under three priority areas: increasing the amount of learning and skills development in the workplace; helping Nova Scotians to prepare for and connect with good jobs; and growing the workforce, both in numbers and skills. The strategy provides supports to help young people and their parents make informed decisions about career options, and expands adult learning and online learning opportunities. It provides programs for Nova Scotians who are unemployed or underemployed and returning to the workforce or looking for their first job. It also targets groups that are under-represented in the workforce: women, African and Aboriginal Nova Scotians, people with disabilities, older workers, low-skilled individuals and those who may face other barriers to finding work. 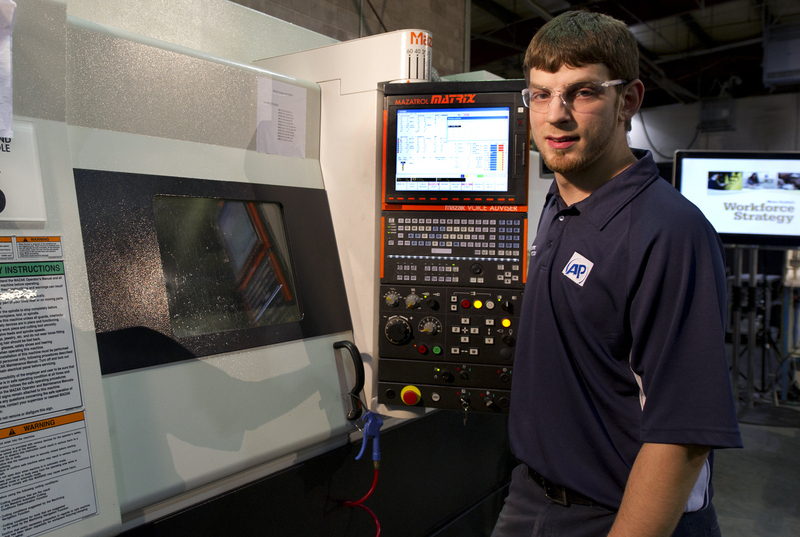 Johnathan Blinder is a workplace apprentice at Advanced Precision in Dartmouth. Premier Darrell Dexter announces a new provincial Workforce Strategy to help to address the economic challenges presented by a shrinking workforce and help Nova Scotians to acquire the right skills for good jobs. 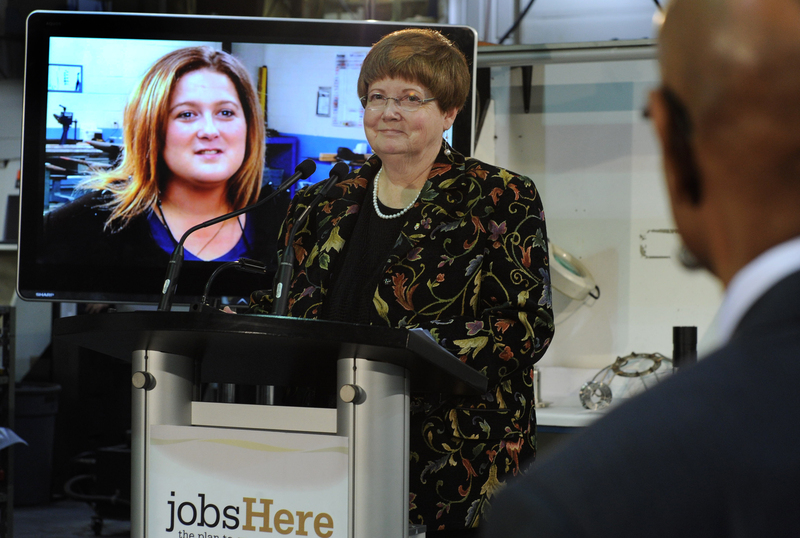 Labour and Advanced Education Minister Marilyn More stands in front of a video of Virginia King talking about the great jobs available in the trades while Economic and Rural Development and Tourism Minister Percy Paris looks on. Economic and Rural Development and Tourism Minister Percy Paris talks about Nova Scotians being ready with the right skills to fill job openings. Jennifer Glennie, a placement from Women Unlimited chats with Labour and Advanced Education Minister Marilyn More. 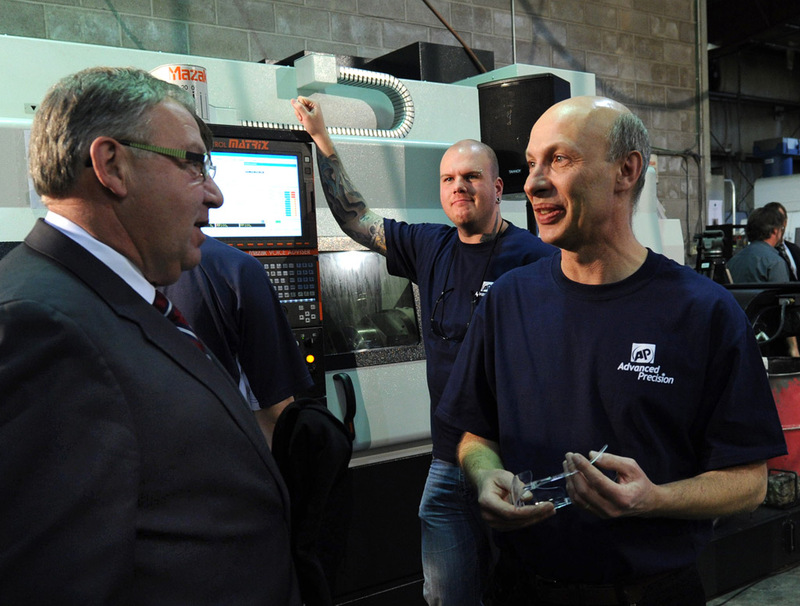 Premier Darrell Dexter chats with workers at Advance Precision in Dartmouth. Premier Darrell Dexter says the strategy addresses workplace training and the link between education and industry. Labour and Advanced Education Minister Marilyn More says more diversity is needed in apprenticeship programs. 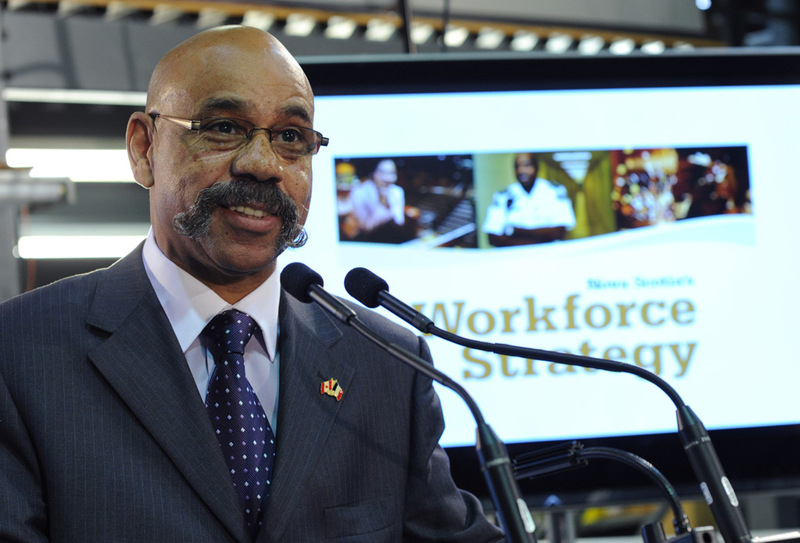 Economic and Rural Development and Tourism Minister Percy Paris says the strategy focuses on learning.